Join us on the second Tuesday of each month for Brainy Babies! Each month, we will have a different theme, complete with activities, toys, books, and sensory exploration, which is crucial to early learning and development. Bring your little one (Birth- 24 months) to have fun, learn, and meet some new friends! 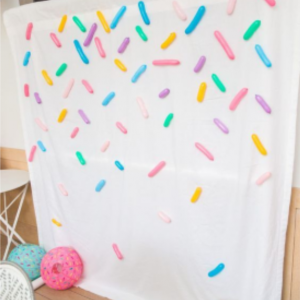 Join us for some fun with sprinkles, including sprinkle painting! Don’t forget to bring your donations for local families in need!